Over Fall Break the Cannon County Outdoor Club members hiked to Raven's Point, a beautiful overlook along the Fiery Gizzard Trail in the Grundy Natural Forest. This hike is a difficult 9.5 mile hike through the Fiery Gizzard gorge. The trail then ascends the plateau to a rock outcropping with a beautiful view of the gorge. 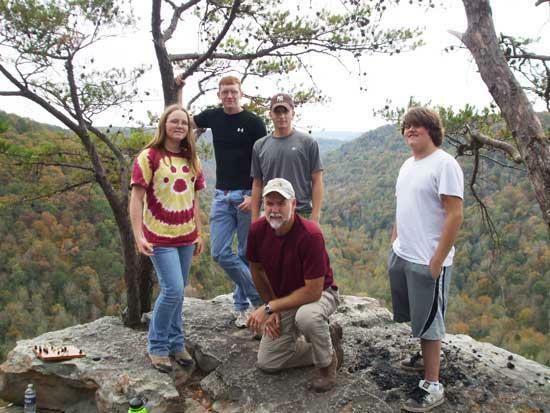 Hikers include, Charles Steelman, Brock Francis, Justin Prater, Emory Larson and Marc Larson.